“threatens the very existence of a free and independent civil society” and the crucial work that non-governmental organizations (NGOs) carry out in the country, the United Nations human rights office has warned. 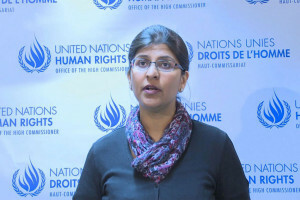 “The Cambodian Senate has adopted a draft law on associations and non-governmental organizations which falls significantly short of international human rights laws and norms governing the right to freedom of association,” explained Ravina Shamdasani, spokesperson for the Office of the UN High Commissioner for Human Rights (OHCHR) during a press briefing in Geneva. Already adopted by the National Assembly on 13 July, the law would now have to be examined by the Constitutional Council, she added.